Simple & spicy sabji.. want to finish it up with pulkas.. Simple and tasty .. I just made it yesterday. Looks tasty and perfect.. thanks for sharing dear !! 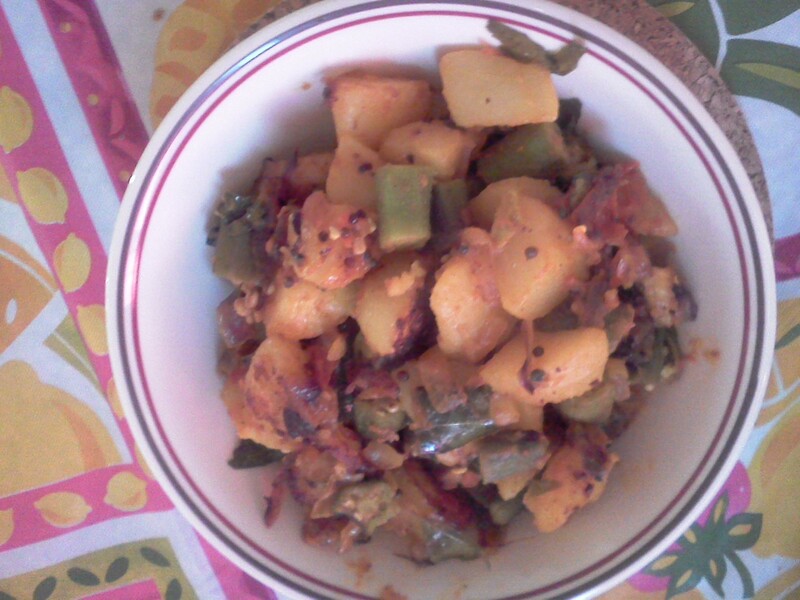 Delicious and flavorful sabji.Can have a bowlful of it happily. Never made this combo before,but sure sounds very nice,can have with both rice or roti!